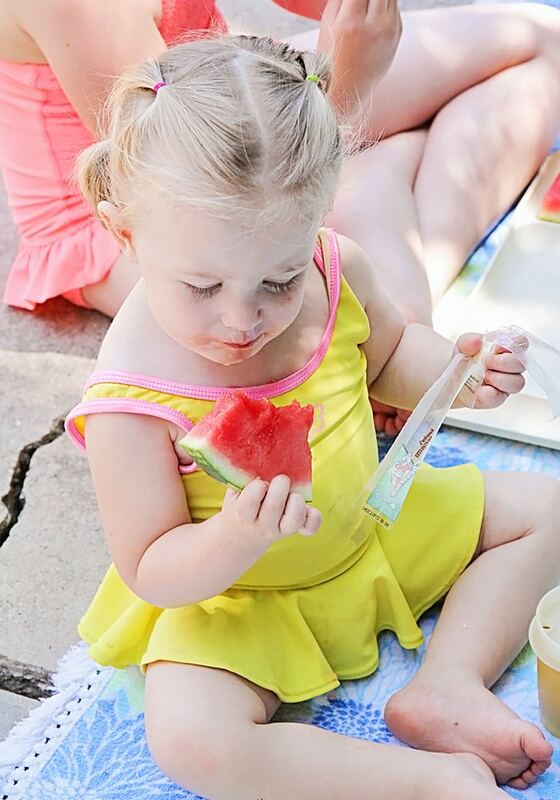 These 5 tips for an awesome summer water party make it easy to stay cool and have fun this summer! 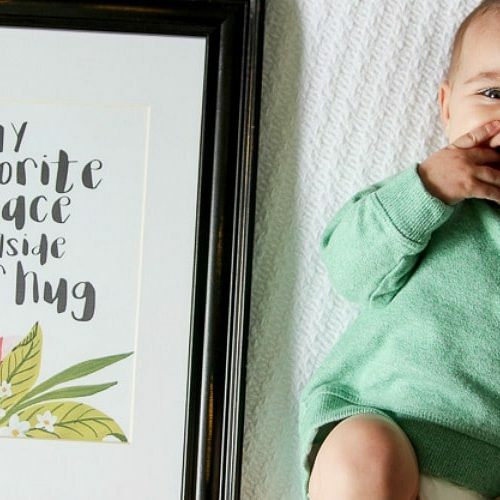 Now that school is out for the summer, I’m always on the lookout for ways to keep the kids happy and occupied, while still maintaining my sanity. We’ve got a chore system that (so far) is working pretty well, and we’re spending lots of time at the library. However, I also want to make sure we have time for fun! Water parties with friends are our favorite way to stay cool during the summer, and I love that they don’t have to be a big production to be fun. 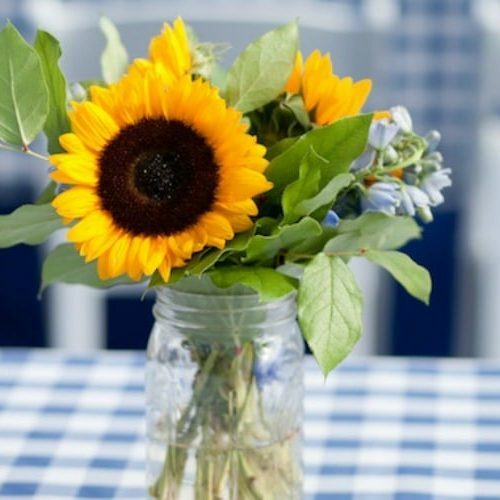 Sometimes the simplest parties are the most fun! With that in mind, here are some of my favorite ideas for a great water party. Running around in the hot sun makes the kiddos hungry! 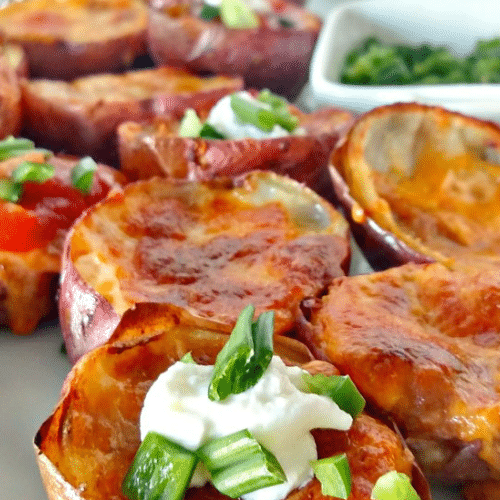 I love having a variety of healthy snacks for the kids to munch on when they’re ready for a break. For this party, my friend Cort whipped up a quick cheese pizza in about twenty minutes, and we had watermelon, animal crackers, and string cheese. The kids loved it and it was simple and easy to make. Win win! 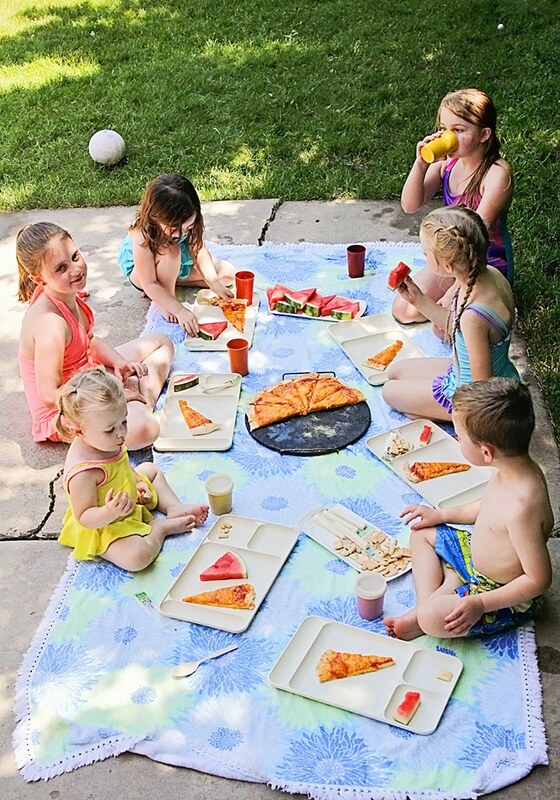 Having a picnic outside is great because it makes for easy cleanup, and the kids are happy too! My friend Cort and I have kids ranging in age from 12 to almost 2, and I’m always surprised (and pleased) at how well the younger and older kids play together. Whenever we have a party together, we try to have activities that are fun for everyone, from the littles to the big kids. Cort is also great at thinking of ways to make it fun for the adults, too! 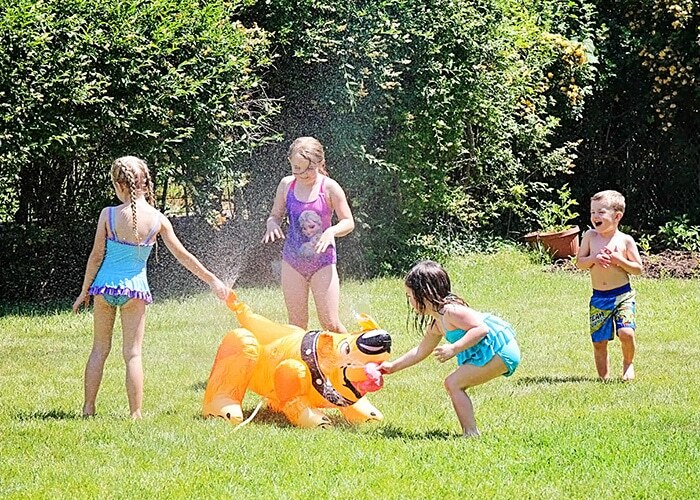 At one of her parties a few years ago, she had an obstacle course for the kids to run through, while the adults threw water balloons at them. By the end of the game, everyone was giggling, kids and adults alike! This one’s a no-brainer! When it’s hot outside, what could be better than cold, creamy ice cream bars? 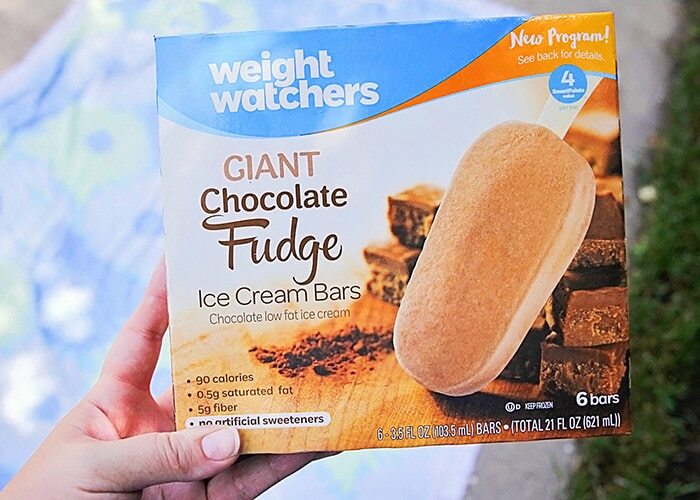 I picked up a few packages of Weight Waters Giant Chocolate Fudge Ice Cream Bars, and they were a huge hit with both kids and adults. The bars are smooth and delicious, and have a great chocolate flavor! They’re a great choice for a cold treat on a hot day. They’re 4 SmartPoints and 90 calories per bar, and even have 5 grams of fiber per bar! They are available at Albertson’s stores in the Phoenix area. I think it’s safe to say that the kids really enjoyed them. 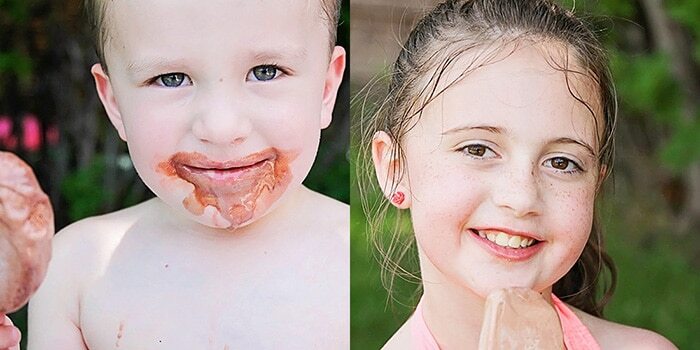 There’s nothing better than a chocolatey ice cream face! Silly water puns aside, I think the key is to just relax and let the kids explore and have fun. Too often, I find myself planning out some cool activity, and then being annoyed when the kids aren’t doing it the way I had envisioned. 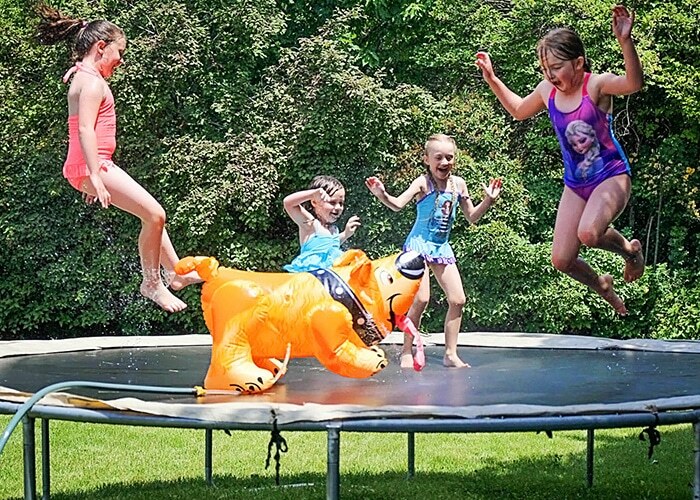 For example, the kids wanted to drag the sprinkler onto the trampoline, and although my initial reaction was that the two should be separate activities, I decided to let them do it. The result was nearly an hour of laughing and squealing and general shenanigans that my kids are still giggling about, days later. Sometimes by just relaxing and letting them figure things out on their own, we have the most fun! 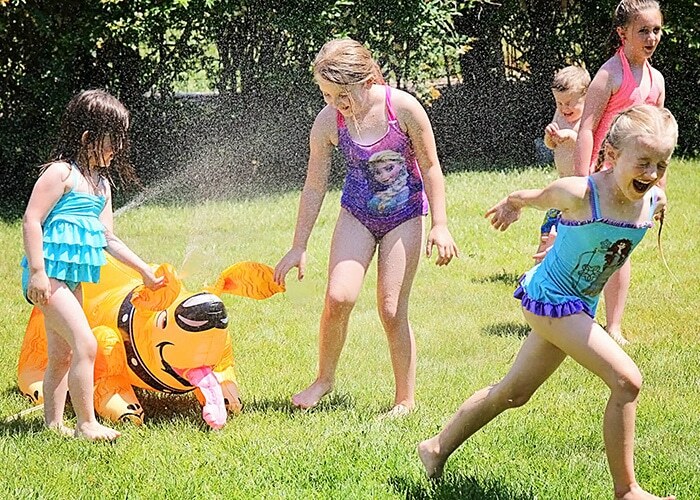 I hope these 5 tips for an awesome summer water party have inspired you to have some fun with the kids this summer! And be sure to enter our giveaway for a summer survival kit, sponsored by Weight Watchers, by clicking here!